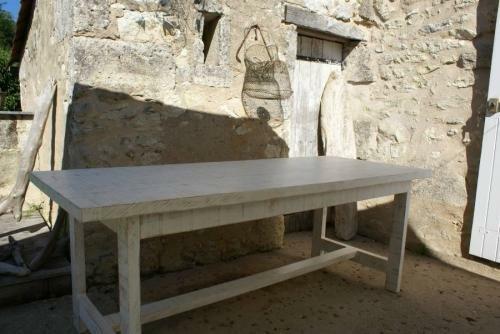 This unique range of hand crafted furniture is made in France. The timber is sourced from birch trees which climb the steep wooden hills of the Dordogne region. The timber is hand selected, cut and manufactured by local artisans who are trained in the pure style of Louis XIII and Louis XV which has been adapted to this unique range of furniture. Each piece is custom designed and hand finished and signed by the maker. The finished furniture is white washed, rubbed back to expose parts of the timber grain and then sealed to give a soft, durable matte finish.